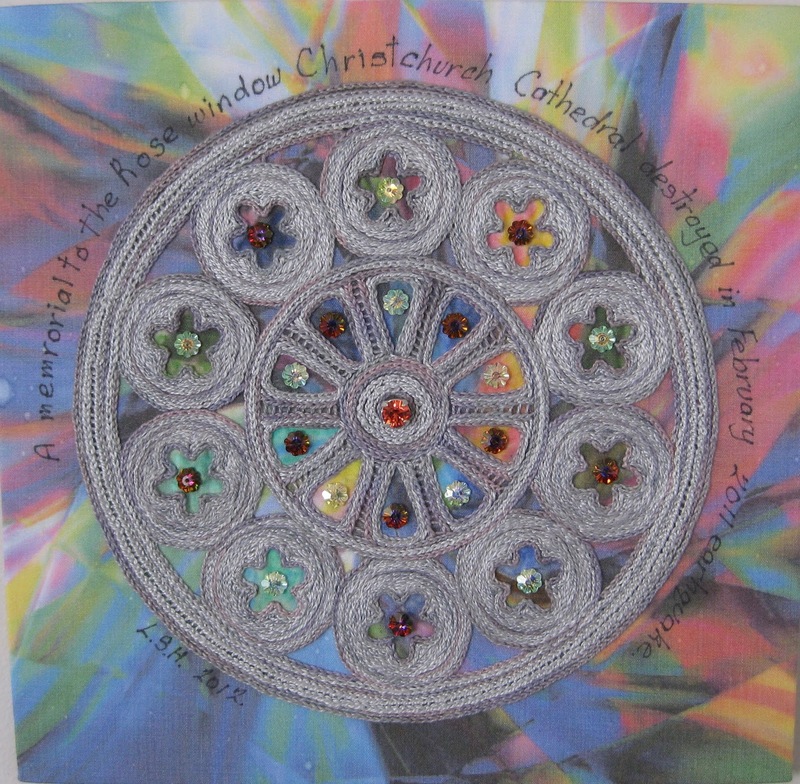 I have just finished embroidering this as a memorial to the beautiful Rose window from our Christchurch Cathedral which was destroyed in the February 2011 earthquake in Christchurch New Zealand. I printed the colour onto fabric with my printer, from my computer, then over-printed the window on top. I have embroidered it with Reverse Chain, Split & Ladder stitch with various threads. Trimmed with Swarovski crytals to represent the stained glass.